Graph-Theoretical Matrices in Chemistry presents a systematic survey of graph-theoretical matrices and highlights their potential uses. This comprehensive volume is an updated, extended version of a former bestseller featuring a series of mathematical chemistry monographs. In this edition, nearly 200 graph-theoretical matrices are included. 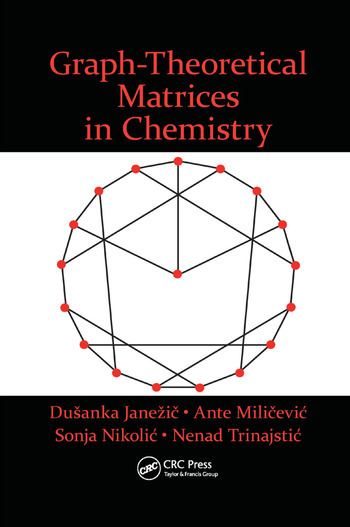 This second edition is organized like the previous one—after an introduction, graph-theoretical matrices are presented in five chapters: The Adjacency Matrix and Related Matrices, Incidence Matrices, The Distance Matrix and Related Matrices, Special Matrices, and Graphical Matrices. Each of these chapters is followed by a list of references. Among the matrices presented several are novel and some are known only to a few. The properties and potential usefulness of many of the presented graph-theoretical matrices in chemistry have yet to be investigated. Most of the graph-theoretical matrices presented have been used as sources of molecular descriptors usually referred to as topological indices. They are particularly concerned with a special class of graphs that represents chemical structures involving molecules. Due to its multidisciplinary scope, this book will appeal to a broad audience ranging from chemistry and mathematics to pharmacology.